Japanese Bride Shiori has a pleasant face. Calming and soothing to look at. 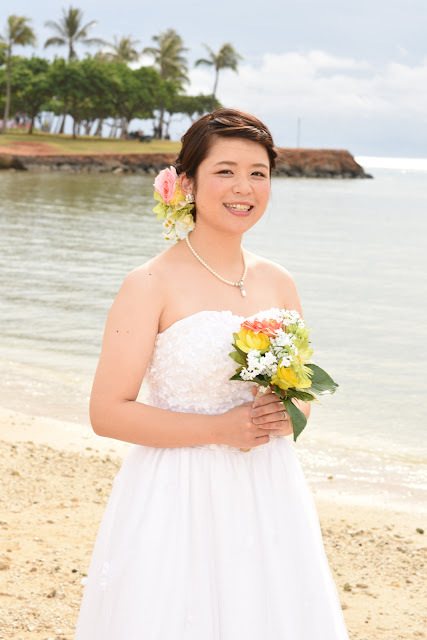 Bridal photography at Magic Island, Ala Moana Beach Park. Walking distance from Waikiki, if you're in shape. Natural look, not too much makeup. Works for me. Okay, the glasses are kind of silly. But you should live it up on your vacation.